Snapchat – (warsoor) – Snap Inc (SNAP.N) is redesigning its disappearing-message app Snapchat in an attempt to reach a broader audience, going back to the drawing board as Wall Street clobbered it for another quarter of slowing user growth. The Venice, California-based firm, whose March stock market debut was the hottest of any tech stock in years, reported revenue and user growth for the third quarter well below Wall Street expectations as it struggles to compete with Facebook Inc’s (FB.O) Instagram. Snap’s shares tumbled as much as 20 percent in after-hours trading, before paring losses to trade at $12.57. Snap went public at a price of $17 a share. Snap has disappointed investors each quarter of its brief existence as a public company. User growth in the last three months was well below what investment analysts expected. Daily active users rose to 178 million in the third quarter from 173 million in the second quarter. Analysts had expected 181.8 million, according to research firm FactSet. “We are going to make it easier to discover the vast quantity of content on our platform that goes undiscovered or unseen every day,” Spiegel told analysts on a conference call. The 27-year-old CEO said there was a “strong likelihood” the redesign would be disruptive in the short term, but said Snap was willing to take the risk for long-term gain. Such a radical change so soon after an IPO is unusual. Snap is not the only social media company looking to revive growth by changing its look. Microblogging service Twitter Inc (TWTR.N) said on Tuesday it would roll out 280-character tweets to users across the world, double the length of its iconic 140-character tweets. Spiegel said the company next year would also build more tools for people to share with broad audiences beyond their friends, the type of public broadcasting common on Instagram and Twitter. “It seems like a significant amount of change in a short period of time,” analyst Rich Greenfield of BTIG told Spiegel on the call. He asked what led to the shifts. Spiegel said Snap needed to evolve rapidly. “We’re just not afraid to make changes in the long-term interest of the business,” he said. 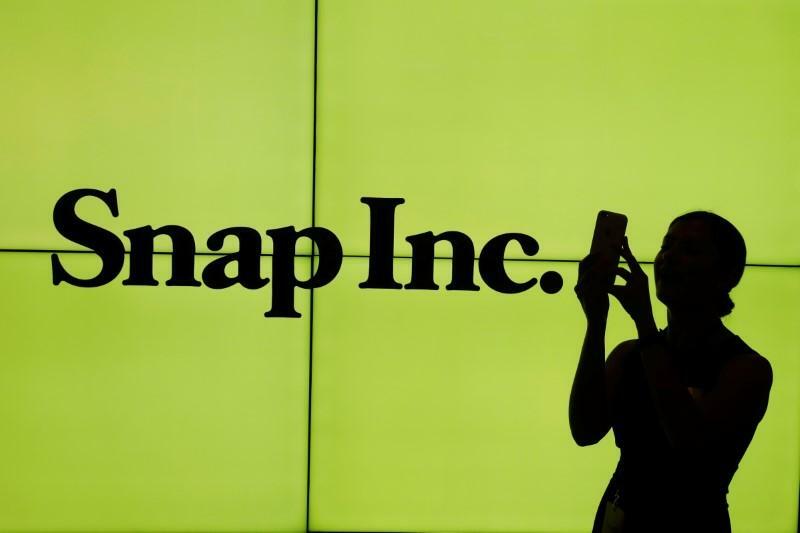 Snaps’s third-quarter revenue, the bulk of which comes from advertisements, rose to $207.9 million from $128.2 million. Analysts on average were expecting revenue of $236.9 million. Average revenue per user rose to $1.17 in the quarter, from 84 cents a year earlier, but missed analysts’ average estimate of $1.30. Chief Strategy Officer Imran Khan said revenue was affected by a shift toward a software-based auction system for selling ads – a method employed by Facebook and Alphabet Inc’s (GOOGL.O) Google – which has driven down the average price. The auction system hit revenue in the short term but “builds the foundation for long-term scalable revenue,” Khan said in written remarks. He said Snap more than tripled revenue from small- and medium-sized businesses in the third quarter compared with the first half of the year. Snap is far behind Facebook and Google in making its ad system accessible to small businesses and should move faster, said Greg Portell, a consultant at A.T. Kearney. “I think they spent a little too much time being different,” Portell said. Snap recorded a $39.9 million charge in the quarter related to excess inventory of its “Spectacles,” sunglasses with a built-in camera. Snap posted a net loss of $443.2 million, or 36 cents per share, compared with a loss of $124.2 million, or 15 cents per share, a year earlier. Snapchat, popular among millennials for the bunny faces and floral tiaras that can be added to pictures, allows users to chat through a series of disappearing photos and videos. Users can also post images and videos as “stories” – ephemeral posts that can be viewed in chronological order and disappear after 24 hours. Before the quarterly release, Snap’s share price was already down 39 percent from its close on March 2, its first day of trading on the New York Stock Exchange. Facebook’s shares were up 32 percent over that time. Facebook’s Instagram said in September that it had 500 million daily active users. Last week Facebook said that Instagram Stories – a replica of Snapchat’s synonymous feature – had 300 million daily users.